UNIVERSITY CENTER, Mich. â After a slow start to the 2015 indoor campaign last week in Ohio, senior distance runner Robert Crockett (Detroit, Mich./King High School) bounced back in a big way Saturday (Jan. 31) at the Saginaw Valley State University Jet’s Pizza Invitational. Crockett, going it alone for the indoor season while first-year head coach Tiberia Patterson builds a foundation for his team, finished 43rd in an ultra-competitive field in the one-mile event at Saturday’s meet. The senior crossed the finish line with a time of 5:01.19 to shave seven seconds off of his time from a week ago. With a time just north of five minutes, Crockett continues to inch toward his career-best mark of 4:49 in the mile event. 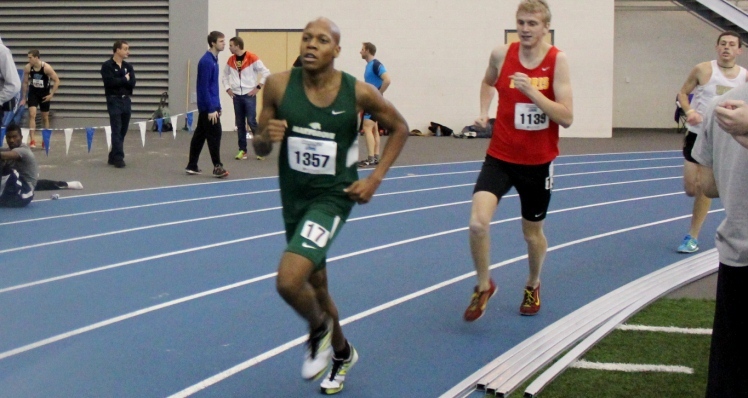 The PR time was set at Grand Valley State University’s Mike Lints Open back on January 18, 2013. Crockett will return to action Feb. 13 at the Defiance (Ohio) Open.